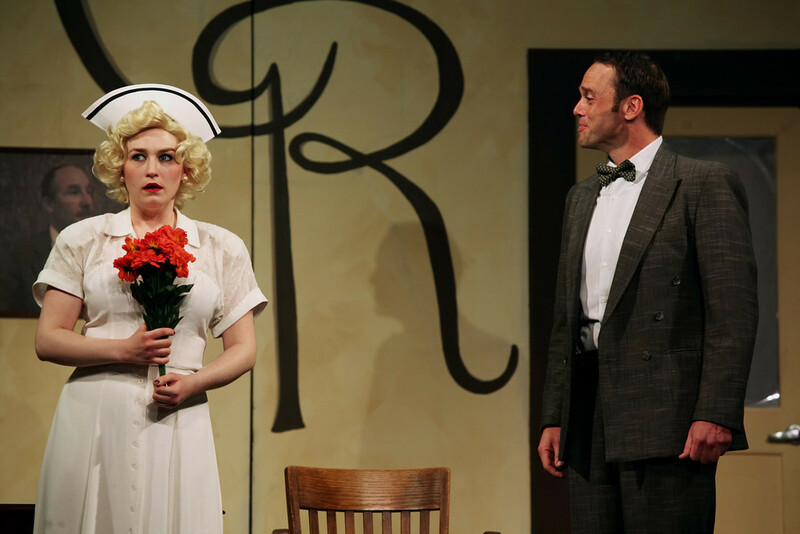 HARVEY is an American classic and The Carnegie’s production is a throwback to times when decorum and politeness were in vogue and Elwood P. Dowd (the marvelous Nathan Noerr) is the politest of them all. He is also psychotic, with a 6 foot tall invisible rabbit as his best friend. Or is Harvey real? This is an average play at best, with an outdated script and it lasts too long. The performances were fine. Some – like the LCT recognized Noerr – are very good. The set design was creative. All of the folks around me were having a great time. They laughed. Several seemed totally engaged. But there were others having side conversations, obviously bored, and that’s too bad. Because its not a bad show, even though I don’t care for the script. It is one you should mark off your list, though, and if you’ve never seen HARVEY you should. Noerr, Regina Pugh, Carter Bratton, Leah Strasser, Michael Bath, Lisa DeRoberts, and Mike Hall all do a great job with the material they’re given. It was nice to see the Clifton basement theatre dwellers (Bratton, Strasser) on a big stage and they held their own. The best thing for me about my trip to the Carnegie (besides the six foot rabbit serving drinks in the bar, including a “Harvey Wallbanger”) was Josh Steele’s announcement that next year they will kick off their season with a co-production (with NKU’s Commonweath Theatre) of SWEENY TODD. Now that has me excited. HARVEY runs through April 27th at The Carnegie in Covington, KY. Tickets are available here.